Gentle readers, I have been remiss in recounting an essential component of Valencia culture: Horchata and fartons. If you are in the United States or have had the pleasure of having the Latin American version of horchata, then you might think that this was a rice-based drink from the Americas. It might also be made from almonds, barley, sesame seeds, or even melon seeds. You would be wrong. No, dear friends, horchata (or in Valenciano, orxata) is from a little town on the side of Valencia, and made with the chufa nut, or tiger nut. Like many plant-based milks, this concoction includes ground chufa nut meal that is cooked, strained, sweetened, and served cold (or at least room temperature). 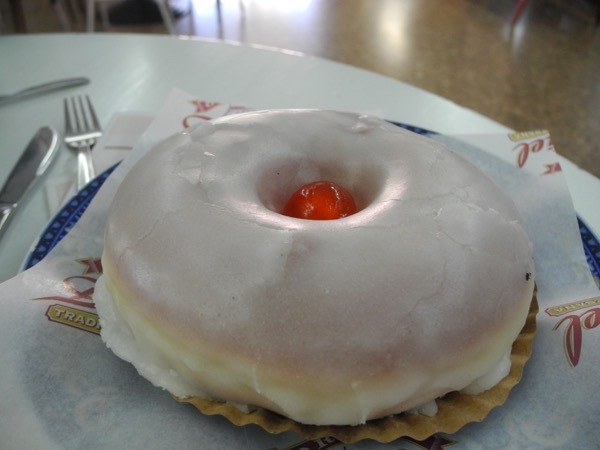 It is usually quite sweet and has a slightly grainy texture. On hot Valencian afternoons, a cool horchata is a lovely way to have merienda, or late afternoon snack… something to hold you over until dinner. Considering that lunch is about 2:00PM and dinner will be around 8:00PM or 9:00PM, having a late afternoon bite is a welcome addition to the day. In Valencia, horchata is most traditionally served with fartons, which are basically breadsticks that have a smear of a crisp icing that, I believe, is designed to flake off and land on your shirt and pants so everyone can see what you had for a snack. 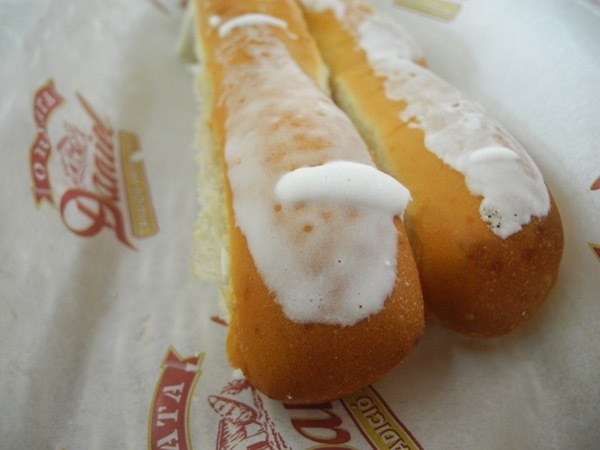 Fartons are not really that sweet (for Americans, think Olive Garden breadsticks, minus the garlic and butter), but the real reason is to add some substance to the merienda and to cut the sweetness of the horchata. Pro technique tip: Dip an inch or two of the farton in the horchata for a soaked-sweet-bread sensation, much like dipping a cookie (or tea biscuit!) into tea. While the farton doesn’t provide a crunch, it does give a different sensation and flavor to the snack. So, this always leads to trying the stuff… where is the best place? 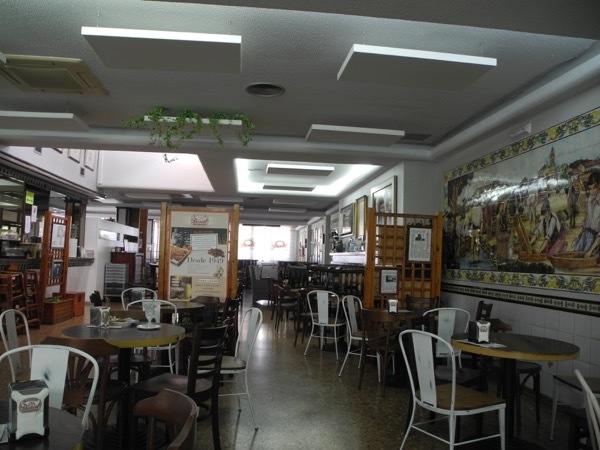 One of the most famous places is Horchatería Daniel in Alboraya. From where I used to live in Benimaclet, walking to Alboraya is about a 20-minute journey, and the metro lines go there as well. 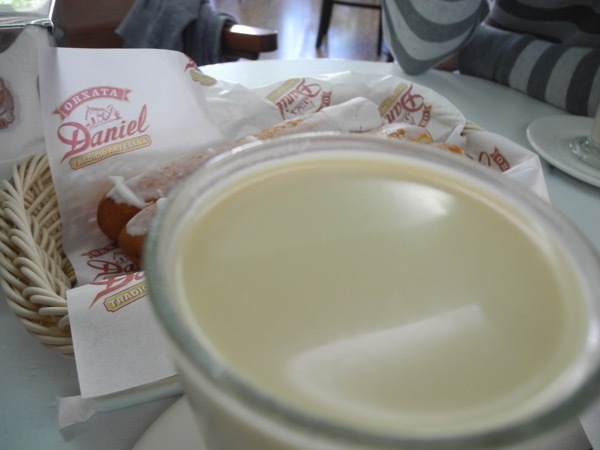 Horchatería Daniel is easy to find, as everyone in town knows where it is, and is a bit of a tourist attraction. The important thing, though is to have horchata directly from the proverbial horchata fountain. We ordered horchata, several different confections, and had a lovely merienda before walking back across town to the hotel. If you find yourself in Valencia, I highly suggest visiting Alboraya and enjoying merienda with horchata and fartons at least once. 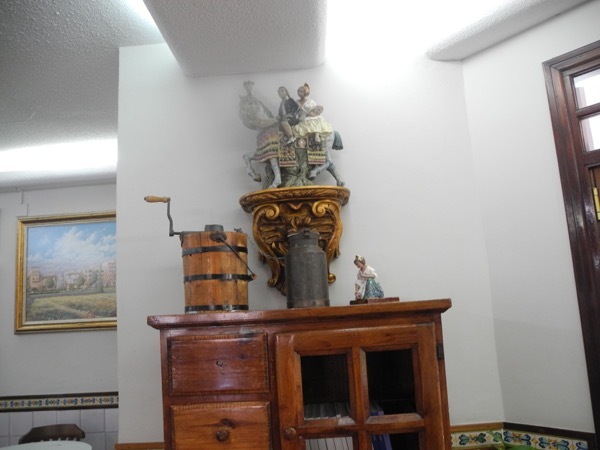 Have a sip of the drink that started in this tiny town and spread across the entire Spanish-speaking world. I know, there aren’t many pictures due to the cruddy artificial lighting. Trust me, I took pictures, and these are the best I have to offer for this outing! Great post! Interesting and very funny. Sounds yum! If the horchata is anything close to a Starbuck’s cold brew, I’m IN!! !